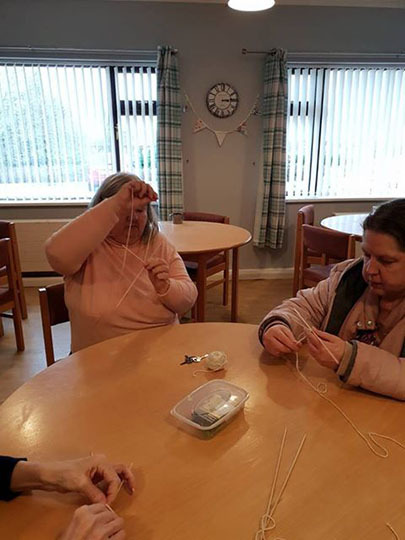 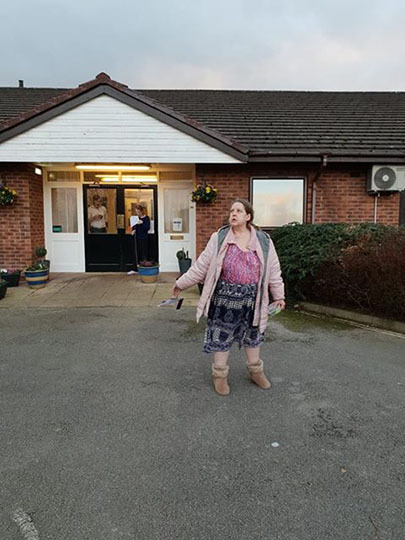 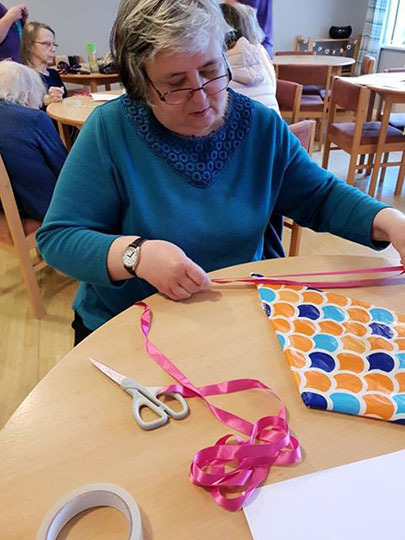 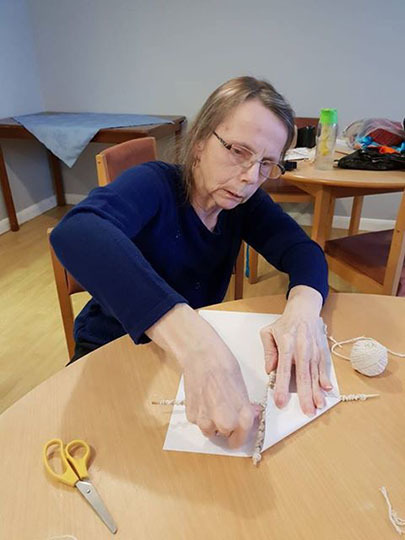 Residents at The Hollies made their own kites for International Kite Day. 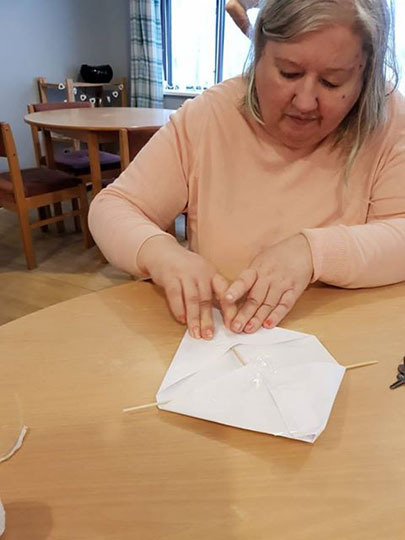 One resident showed the others how to make their kites even better. 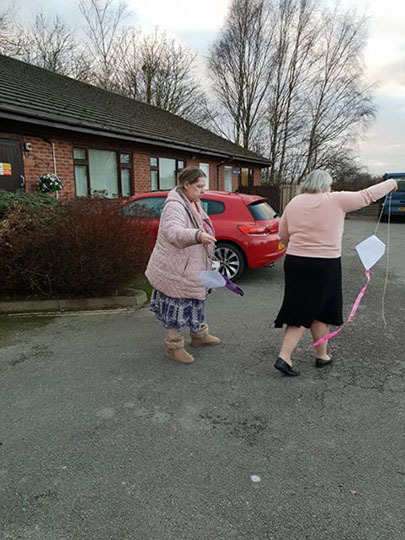 Unfortunately, the wind was not on our side, but all the residents had fun and some even said that the activities brought back childhood memories. 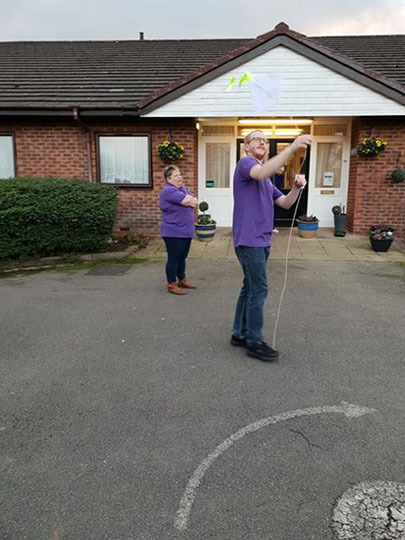 The kites were then hung in the trees to show off all the residents’ hard work.